300 ADOPTIONS: As of today, there are 300 entries on the Open Oregon Resources page. This milestone represents a lot of hard work on the part of Oregon’s community college instructors and support staff, and a tremendous savings for students. Congratulations to all of those involved! NEW BOOKS AT BCCAMPUS: The BC Open Textbook Collection has five new additions: A First Course in Linear Algebra; Macroeconomics: Theory, Models, and Policy; Microeconomics: Markets, Methods, and Models; Principles of Microeconomics and Principles of Macroeconomics. Two materials in the collection Introduction to Financial Accounting – Second Edition and Calculus: Early Transcendentals have new editions. #OPENEDUCATIONWK RECAP: The numbers are in! During Open Education Week 2017, there were a total of 156 events hosted around the world! This includes 48 webinars, 86 local events and 22 events that took place outside of the official week. Thank you to everyone that hosted or sponsored an activity during Open Education Week 2017. 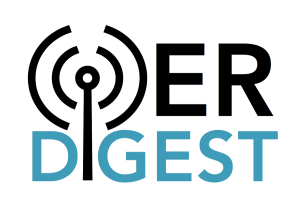 ON THE ROAD: The Digest team will be attending the Hewlett OER grantees meeting and Creative Commons Global Summit in Toronto next week. Hope to see many of you there! EVENT: SPARC’s next Libraries & OER Monthly Meeting will be taking place on May 2nd at 1 EDT/ 10 PDT. Click here to join e-mail discussion list via Google Groups to receive call-in details. THAT’S A WRAP, #OPENEDUCATIONWK: Last week the world celebrated the 5th annual Open Education Week. While the official statistics have not yet been announced, we think participation and engagement were high! EngageNY is among the most commonly used curriculum materials for mathematics and English language arts (ELA). High use of EngageNY was at least partly driven by educators’ desire to help students meet state standards. EngageNY gives students more opportunities to engage in standards-aligned practices compared with other materials. HOT OFF THE PRESS: Last week a new book entitled “Open: The Philosophy and Practices that are Revolutionizing Education and Science” was launched. Written in collaboration between a number of open leaders, the book covers open education, open access and open science and was published by Ubiquity Press (CC-BY). The material was edited by Rajiv Jhangiani and Robert Biswas-Deiner and is available both online and in print. Congratulations to all those involved! NEW AUTHORING GUIDE: The Open Textbook Network has created a new guide for faculty authors, librarians, project managers and others who are involved in the production of open textbooks in higher education and at the K-12 level. Content includes a checklist for getting started, publishing program case studies, textbook organization and elements, writing resources and an overview of useful tools. FUNDING BOOST FOR BCCAMPUS: Last week the province’s Minister of Advanced Education announced $250,000 in funding for BCcampus’ Open Textbook Project. The funding is welcomed by BCcampus who currently boasts a collection of 180 open textbooks and has saved BC students $4 million to date. RPT CHANGES AT UBC: During a regular revision of the institution’s Guide to Reappointment, Promotion and Tenure Procedures, faculty pursuing the Educational Leadership Stream at UBC can now be evaluated for their contributions to “open education repositories/resources”. COOL4ED STUDY: A new study exploring the instructor and student experiences of open textbook use at higher education institutions in California was published last month. The study entitled “Instructor and student experiences with open textbooks, from the California open online library for education (Cool4Ed)” was conducted by Ozgur Ozdemir and Christina Hendricks. MORE MILLIONS SAVED: The Maricopa Millions OER project has saved Maricopa Community College students over 9 million dollars in its first four years. The project which was projected to save students 5 million dollars in five year’s has already surpassed that initial goal and the cost savings are set to continue. ED OPEN LICENSING POLICY: Two months ago the Department of Education formally adopted its Open Licensing rule for grant programs. Two weeks ago, the Department published a notice that it would be delaying the effective date of the rule by 60 days as an extension of the Administration’s regulatory freeze, and it will now go into effect until May 22. The Department has opened up a public comment period about the delay, and we encourage the community to comment prior to the April 20th deadline.